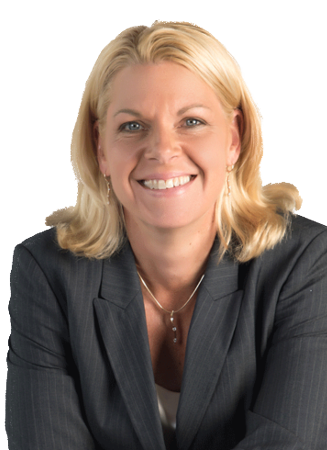 Pam Borton is a renowned expert on developing high performing leaders and teams. As the President and CEO of Borton Partners, Pam provides elite senior executive coaching to clients and delivers inspirational and dynamic keynote presentations on leadership and peak performance topics for organizations nationally and internationally. As an International Coaching Federation (ICF) certified senior executive coach, Pam is committed to taking C-suite and senior level executives, and their high performing teams, to the “next level.” Her leadership coaching spans organizations of all sizes, including Fortune 500 companies, and across industries including finance, retail, IT, hospitality, higher education, healthcare and more. Her business coaching clients include Best Buy, Blue Cross Blue Shield, Hyatt Corporation and Merrill Lynch, to name a few. Pam specializes in organizational transformation and provides an array of executive coaching, from senior leaders to middle management and project management teams. Her corporate coaching helps guide companies through succession planning, mergers and acquisitions, employee engagement and business development. Pam also coaches and trains first responders, including law enforcement and members of the military, to thrive within the unique pressures of their roles. Pam brings her executive coaching clients the unique experience of navigating the pressure and expectations of a highly visible position in an ultra competitive environment, having served as the winningest professional coach in the history of the University of Minnesota women’s basketball program. Pam’s leadership, expertise and philanthropic spirit have been recognized with numerous awards, including the 2016 Twin Cities Business Magazine Marvelous Mentor Award, Top 10 Global Women of Leadership Pillar Award, and New England National Coach of the Year. To further expand Pam’s life’s purpose and passion for philanthropy, she founded TeamWomenMN, an organization dedicated to empowering professional women, and Empower Leadership Academy for Girls a nonprofit serving girls and young women in grades 5-12. Pam was also honored with the creation of the Pam Borton Endowment at the University of Minnesota—the only endowment of its kind in the world. Created in 2014, this endowment honors the leadership and legacy of Pam Borton, the winningest coach of the women’s basketball program at the University of Minnesota*. This endowment promotes leadership among girls and women in a sports context and is the only endowment of its kind in the world. The Borton Endowment includes funding assistantships for graduate students; hosting of a national forum on women’s leadership development; and support for research examining the role of sports on females’ leadership development. *The Endowment is at the University of Minnesota Foundation, housed at Tucker Center, the only research center in the world that focuses on women and girls research in a sports context. Inspirational business keynote speaker. Leadership expert. Philanthropist. Author.